Summer sales are quite possibly one of the best things about summer (alongside the sun, getting a tan, lighter evenings & that general summer mindset) and they go on for so long too! As the end of summer draws closers, the last of the sales are floating around and this is when you will pick up the biggest bargains! It’s also the perfect time to grab your ‘transitional pieces’: these are the items that will take you through the end of summer and into autumn and getting them now means your bank card won’t cry when you press CHECK OUT on your online order! Let’s start with this gorgeous embroidered bardot number! For now it’s so cute with denim shorts and when the weather starts to turn and get a bit colder, swap those shorts for wide leg trousers or jeans. 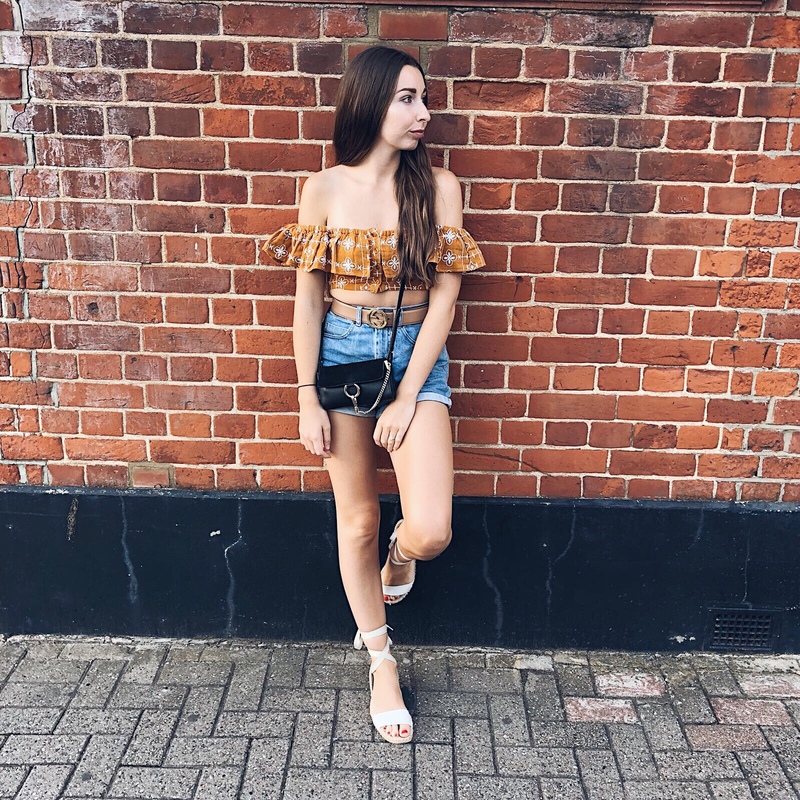 My absolute favourites have to be the Topshop check trousers – HELLO CLUELESS VIBES, the Boohoo mustard knit tie crop, the Boohoo snake print dress and of course the white ruffle cami and mustard polka dot top from PLT. Oh and the stripe boohoo blazer. Wait, everything, it’s too hard to choose a few! Haha! What are your favourites? Let me know below and tell me what you’re eyeing up for this transitional period! What are you guys eyeing up for your transitional pieces?